Mix the first 6 ingredients together and spread the dip into a greased pie pan or a 2 quart baking dish. In a bowl, mix panko bread crumbs, remaining 1/2 cup Parmesan cheese, and melted butter until incorporated. Sprinkle crumb mixture evenly over the dip and bake in a preheated 375°F oven for about 20 minutes or until top is browned and the dip is bubbly. 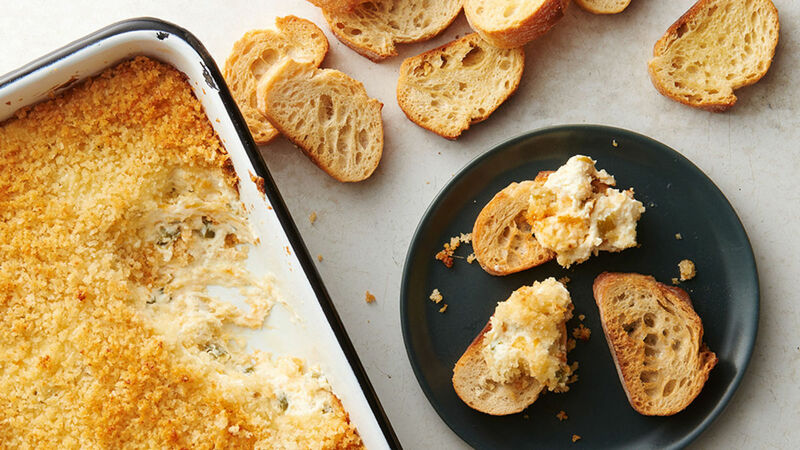 Serve with chips, crackers, or baguette slices. Originating from the Japanese word for “pan bread” Panko is a lighter, crunchier bread crumb made from rice flour. Although on its own panko’s flavour is virtually nonexistent, it takes on the bold flavours of this jalapeno popper dip beautifully.